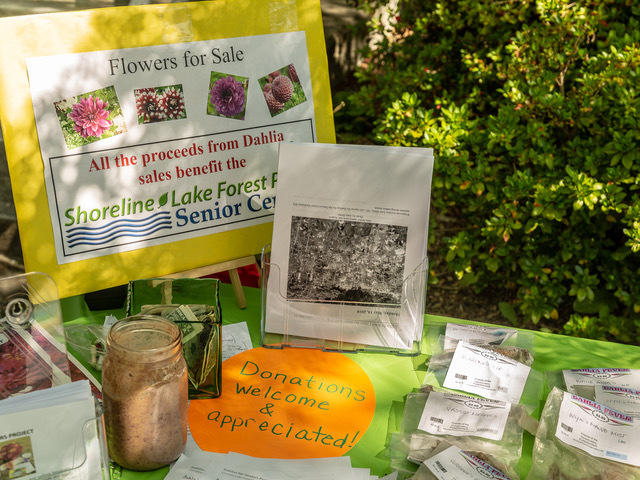 The Dahlias For Seniors season opener tuber giveaway was a great success! We had 25-30 visitors and about 300 tubers of 75 different varieties found homes. Plus we generated $245 for the Senior Center! And maybe best of all, several tuber shoppers who had not visited the Center before explored the facility, observed our seniors in various activities and shared with me they did not realize what a great, vital place it is. This warmed my heart because it's really what the project is about. Really - who needs a lawn? Other highlights: a couple people shared that they'd been following our Dahlia of the Week series and decided to start their own gardens! 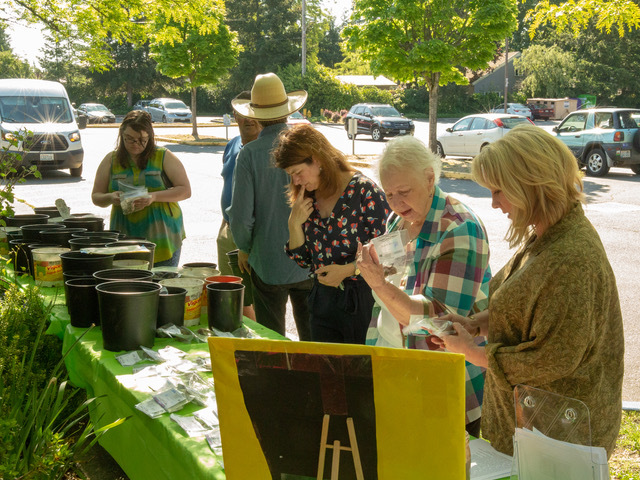 And Martin Král, Shoreline citizen, historian and author on the subject of dahlias, and a backbone of the PSDA (Puget Sound Dahlia Association) and its annual exhibition at Sky Nursery (See previous article) donated his left-over tubers too, and helped out at the table.